We sell unique coffee capsule racks / holders / dispensers online. Suitable for a wide variety of Coffee Pod Brands and Sizes. 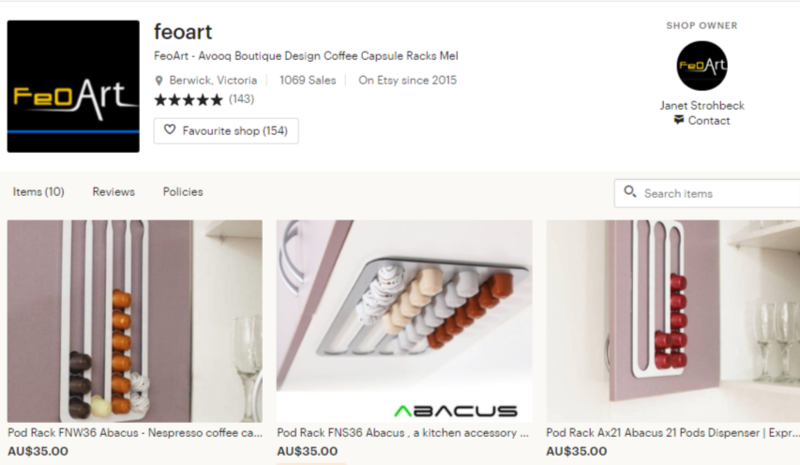 Click here to buy directly from our website Abacuspodrack ! Our a small boutique design family business is headed by Janet and located in Melbourne Australia.